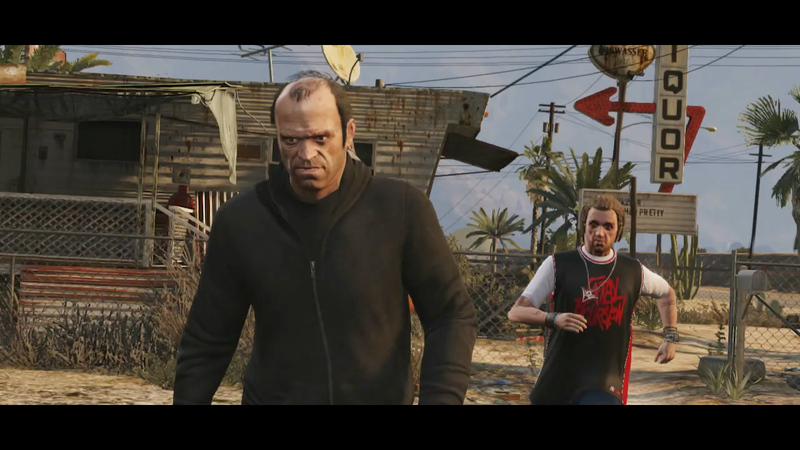 Now we're really getting down to the nitty-gritty folks, because Rockstar has announced that the Grand Theft Auto V Special Edition and Collector's Edition are available for pre-order! And they are awesome! 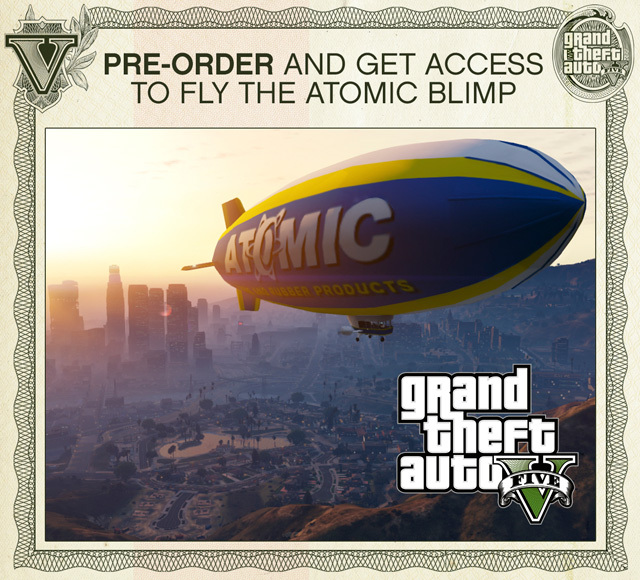 For starters just by pre-ordering you gain access to the world famous Atomic Blimp! Cruise the skies of Los Santos in the lap of luxury! 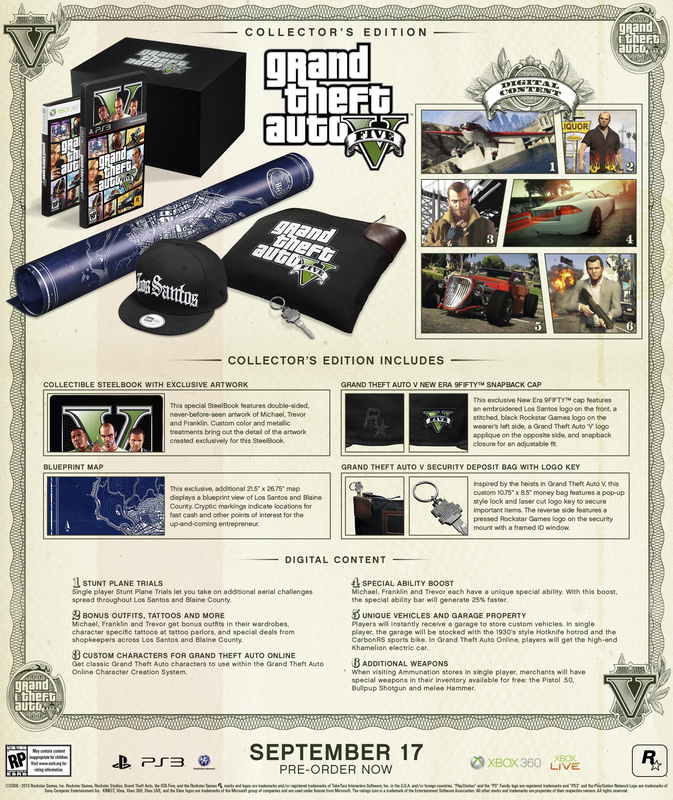 Of course the Collector's Edition comes with all that, and more! 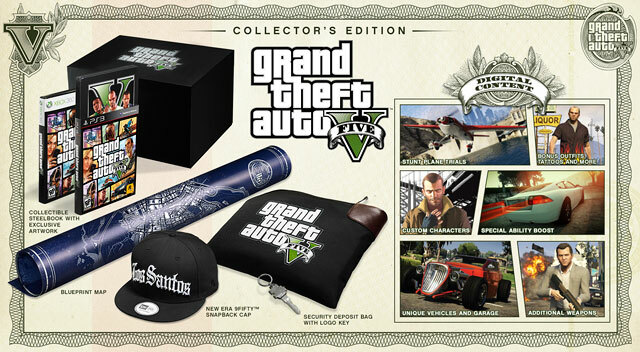 Will the vehicles that come with the collectors edition have insurance on them already? 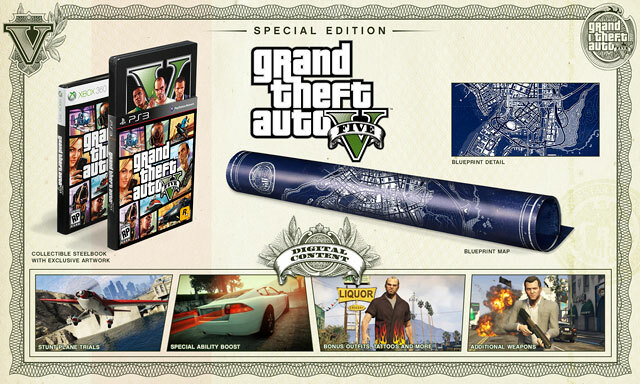 Pre-ordered the very last available special edition pack in the gamestore, and received two big GTA V posters for free as well! Check with your local retailer. 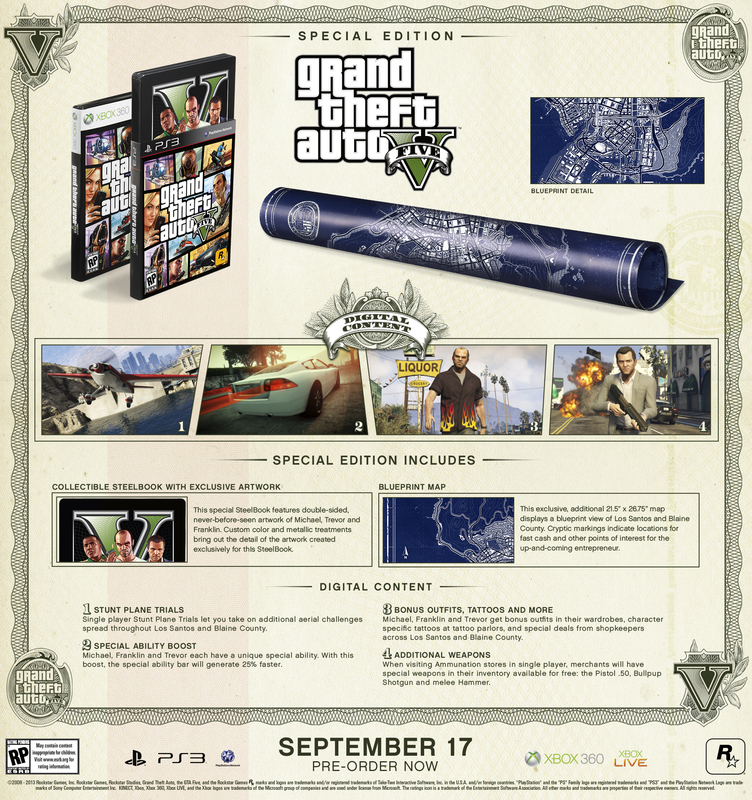 Special and Collector's Editions Announced - Special Edition and Collector's Edition are available for pre-order!